Let’s get this out right up front. The 2010 Census numbers are still raw to city officials, and they have not had enough time to digest what little has been released so far. But here are some disturbing numbers, at least at first glance, and take note that city officials are already questioning them. This one is about the number of housing units, but first just what is a housing unit? It’s the consensus of city officials that a housing unit is a single-family house—for sure – and quite likely a single flat in a house that may contain two or more flats. In other words, if you live in an upper or lower flat, you are living in a housing unit. So, let’s roll to the Census numbers. According to the Census, in the year 2000 the city had a total of 8,894 housing units. 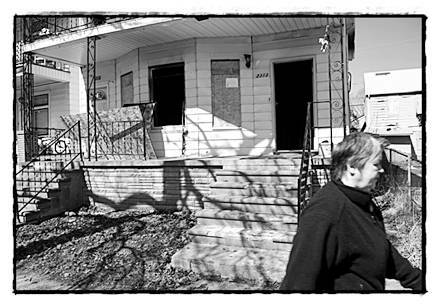 Jump forward 10 years to the 2010 Census, and Hamtramck now has a total of 8,693—a mysterious loss of 201 housing units. In any given year, the city knocks down about 10 or 12 houses because they are damaged by fire or neglect. If all of those houses were two-family dwellings, well, OK, that would account for the loss of 201 housing units. But, Jason Friedmann, the city’s director of Community & Economic Development, doesn’t think, at least at first glance, that everything adds up right. At the time we went to press, which is Thursday, Friedmann had not been able to check with other city departments to verify that number. And now comes the next questionable Census figure. The number of unoccupied housing units rocketed up from 861 in 2000 to 1,630 in 2010. Friedmann said, again just at first glance without being able to look at city records, the number is way off. True, the city lost a little over 500 residents during the past 10 years, but that doesn’t explain the surge in empty housing units. 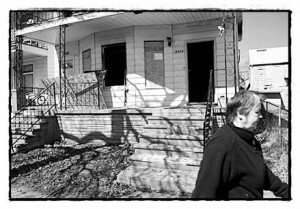 According to city officials, the number of empty houses is around 400, mostly due to a combination of the economic crash the metro area experienced, the resultant loss of jobs, and then the inevitable foreclosures. Add it all up and Hamtramck certainly took a hit. But just how severe it was is the bigger question. As for the decrease in population, at least it wasn’t as bad as previously estimated from sampling taken by the Census Bureau. Back in 2009, the Census sampling showed a loss of 3,000 people. Given that projection, it’s reasonable to expect city officials to question the accuracy of the 2010 Census count. But that’s the official count and there’s very little the city can do about it. There is an irony of sorts here. During the past 10 years, the city oversaw the development of 100 new housing units. In the next two to three years, another 100 housing units will also be built. Hamtramck may have taken a dip in people and housing, but it is poised for a major comeback.